Another year has come and gone, and admittedly I'm disappointed that on the two year anniversary of my friend Dave's death, I've yet to complete the project I began just weeks after his passing. 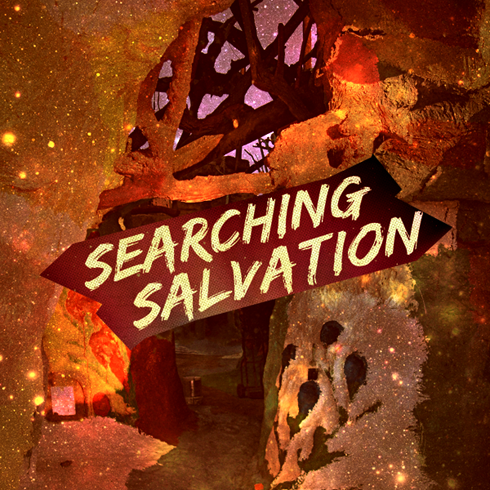 Searching Salvation has sadly ended up on the back burner time and time again as more projects have emerged. The reasoning for this is simple - I'm not ready to be done with it yet. I've said numerous times that I feel like this project will be my last words about my friend - at least in this form of a tribute anyway. That's only made finalizing the work harder. The video has changed directions and been restarted several times already, and because I'm really doing it for myself, I'm more concerned about it feeling right than it being done quickly. I'm done making promises about a completion date, but know that the project is still in the works and very much on my mind. I also still feel very much the same way I did last year at this time when I wrote the post, Death and All His Friends. Our lives and our group have changed dramatically since we lost Dave, but some of our bonds have grown stronger and more meaningful over the last couple of years too. Most important to me now is not losing track of the sentiments that I expressed when this happened, and also using this time to gain some perspective about what it's really meant to lose a close friend - and in other ways, how my view of death has matured. The challenges in life keep us strong. This one has been a real test.